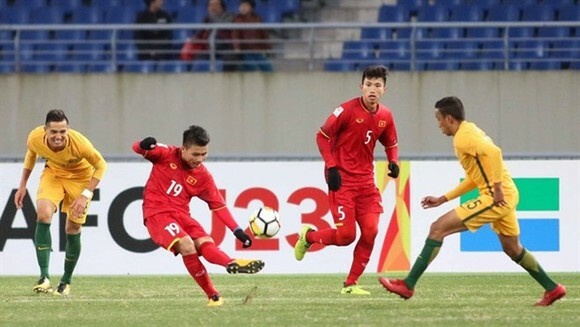 Nguyen Quang Hai’s win brought Vietnam’s historic 1-0 victory over Australia in the Asian Football Confederation (AFC) U23 Championship on January 14, and opened a door to all Group D teams competing in the quarter-finals in Kunshan, China. 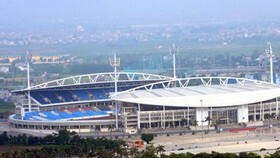 Vietnam was the first ASEAN team to win at this tournament, which is in its third edition. Two other teams here are Thailand and Malaysia. Thailand has just been eliminated after two straight losses, while Malaysia claimed one point from a draw after two matches. The golden boy Hai scored the only goal at the 72nd minute, making part of his coach Park Hang-seo’s expectation to make miracles come true. Prior to the tournament, Park said he wanted to surprise people with his Vietnamese players. And they are on the way to proving it. Last week, Hai scored the opener for Vietnam in their first match of the tournament. 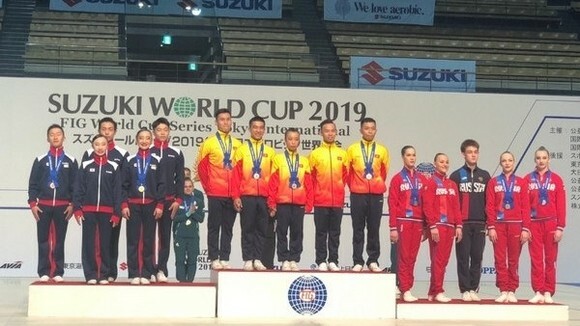 Despite losing 1-2 to 2016 championship runners-up the Republic of Korea, Vietnam really shocked not only local experts, but also international trainers. 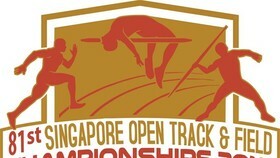 The victory was even an earthquake for the whole continent, as Australian media described their loss as a national disaster, while Thai newspapers, such as Thai Rath, Siam Sports and Bangkok Post, considered it a big shock. AFC President Sheikh Salman al-Khalifa sent his congratulation to the team after the match, saying he was proud of Vietnam’s result and hoped the team would see more success. Despite being an underdog in the group, Vietnam was really confident when starting their second match. It was the Vietnamese players who had a better situation with more opportunities, although they occupied only one third of the ball possession against the Olyroos, who had eight chances from the rosters that beat Syria 3-1 last week. Nguyen Cong Phuong and his teammates wasted several chances in the first half. Alex Gersbach’s error saw him give possession to Phuong, and only the intervention of Ruon Tongyik denied the 22-year-old from scoring the opener at the 33rd minute. Phuong caused more concern in the Australian defence soon afterwards, and with six minutes left in the half, Hai’s shot across goal from 25m out was saved at full stretch by Izzo. After many chances wasted in the first half, and nearly half the time of the second half, Vietnam players, coaches and supporters jumped up to cheer their first Asian goal, following Hai’s deflected long-range strike. Earlier, the ball ran around in Australian box with several inaccurate finishes from the Vietnamese side. It went to Hai, who made a straight kick to beat goalkeeper Paul Izzo. Australia also had their chances, but Ajdin Hrustic’s two attempts were denied by Vietnamese keeper Bui Tien Dung. In the second half, Gersbach’s inviting low cross from the left found Joseph Champness at the far post and forced Dung to push the ball out for a corner. Australia pushed for the equaliser, with substitute George Blackwood hitting the crossbar with a late header, but Vietnam held on to record a famous win. 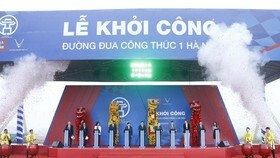 "I want to dedicate this victory to the Vietnamese people. I promised we would do something special, and this is just the start. I want to thank the players and my staff, as they did everything I asked them to do. We have one match left, and beginning tomorrow we have to concentrate on that game,” said coach Park at the post-match briefing. “We always believed we could win the game. We did not know in advance what the result would be, but we were prepared to win. Every team has good points and, of course, today we were lucky." Meanwhile, coach Ante Milicic of Australia congratulated Vietnam on a fantastic victory. “For them to win a game at a tournament like this is good for their confidence. We knew what to expect, in terms of the way that they set up and approached the game with their 5-4-1 formation. It was similar to the way they set up against South Korea, and we struggled at times to create some clear cut chances. We were vulnerable on the break and we could have dealt better with those situations,” he was quoted as saying on the-afc.com. “Towards the end we created three or four good chances, but the ball wouldn’t go in. So we go home disappointed, but we’ll assess it and focus on the next game, which will be a difficult one against Korea." On January 17, Vietnam will next play Syria, who did just enough to keep their hopes of a place in the quarter-finals after securing a 0-0 draw with the Republic of Korea in a late match on January 14.